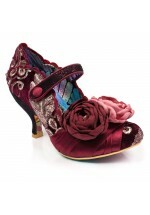 These sumptuous velveteen heels evoke a vintage almost regal feel, so snap these up and you'll be fe..
Be the belle of the Comicon ball I these wham, bang, kapow cor blimey mid heels. Featuring a polka d.. The Beauty and the Beast versions of the mighty Mini Ultragirl really have something special to show..
"High tea anyone? 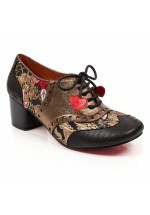 "It’s a vintage affair in these gorgeous mid heels, swing around the dance floor in.. These mid heels are the ultimate in festive cool, with a smart pastel polka dot detail and pet..
What a wonder of a party shoe. Bassy has a black textile upper adorned with sequins of gold, pink, g..
Fall in love with these outstanding metallic mid heels this season. 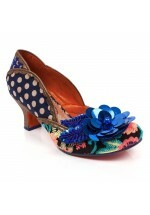 A chunky, wood effect mid heel s..
Feel bright and breezy in these gorgeous vintage throwback mid heels this season. 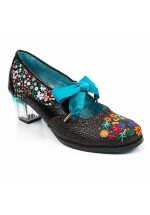 Comes with..
With a whiff of an alpine breeze these mid heels are the sound of music to our ears. 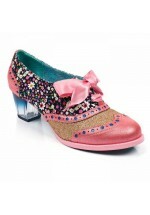 Comes w..
Get your glittery ditzy groove on with these oh so special classic mid heels. Comes with a d.. 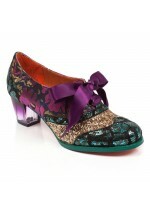 This groovy seventies throw back mid heel is a multi faceted psychedelic dream. 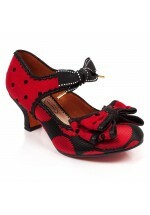 Featuring a swirling..
Hello dolly! Feel as pretty as a picture in these girly mid heels. 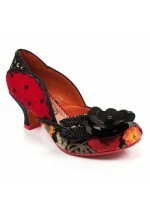 A ditsy floral upper sits upon a ..